Thomas Stumpf began piano lessons in Hong Kong at age 4 with his mother Annemarie Stumpf. She remained his teacher during his childhood in Hong Kong, where he also occasionally studied with visiting artists such as Kendall Taylor, Peter Element, and Mieczyslaw Munz. At age 16 he performed a Mozart concerto with the Hong Kong Philharmonic, and at age 17 he was awarded the L.R.S.M. (Licentiate of the Royal Schools of Music) Diploma. In 1967 he began his studies as a piano performance major at the Mozarteum in Salzburg, Austria, first with Heinz Scholz, later with Kurt Neumüller. He also worked on the art song repertoire with Paul von Schilhawsky. He quickly established himself at the Academy, winning the Mozart Concerto competition in 1968 and the International Summer Academy concert competition in 1971, and representing the school in concerts in Vienna and Prague. He regularly performed summer concerts at Mozart's Residence on a replica of Mozart's own fortepiano. He won the Bösendorfer Prize, Vienna, in 1970 and the Lilli Lehmann Medal, Salzburg, in 1972. During this time he also returned to Hong Kong for a recital, several radio and TV recordings, and three performances of Beethoven's Piano Concerto no.3. 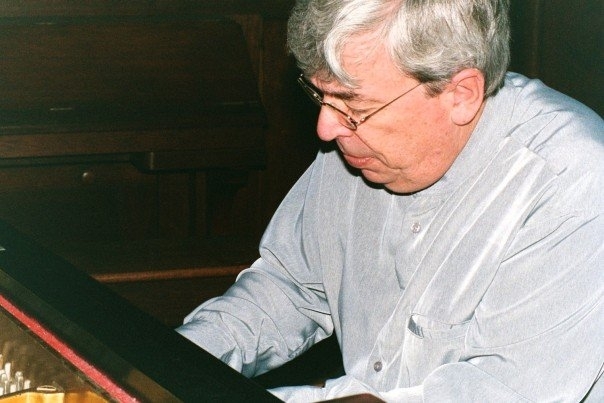 After his graduation (with Distinction) in 1972, Stumpf began an international career as collaborative pianist. He undertook a 2-month tour of the Far East with mezzo-soprano Hanna Ludwig, assisting in master-classes at the University of the Philippines in Manila and at the Goethe Institute of Hong Kong and accompanying her Lieder recitals and broadcasts as well as performing solo recitals. He performed an art song recital with soprano Edith Mathis at the 1973 Edinburgh Festival. For several years he accompanied Lieder recitals of soprano Rita Streich in Austria, Germany and France, at Birmingham Town Hall and at the Queen Elizabeth Hall in London (the last two with the participation of clarinettist Jack Brymer). He also recorded with her for the ORF (Austrian radio) and the ORTF (French television). In 1975 Stumpf decided to come to the U.S. to continue his studies at the New England Conservatory in Boston, where his teachers were Irma Wolpe and Russell Sherman. Here too he soon established himself, and won the Concerto competition which led to his performing the Schumann Concerto with the Boston Pops under Arthur Fiedler. In 1977 he received his M.Mus. degree with Honors and the Artist Diploma in 1980. Excerpts from his recitals were broadcast by WBUR and WCRB. During this time he was also the co-director of a chamber music group, the Lyric Arts Ensemble, which performed in Jordan Hall, for two seasons at the Longy School of Music, and at the International Festival of Caracas, Venezuela. Since 1980, Stumpf has regularly performed solo recitals in the Boston area, including 5 in Jordan Hall, 4 at the Longy School of Music, 1 at the Gardner Museum, 1 at the Goethe Institute, 1 at the Harvard Business School Chapel (to initiate the new Steinway for its Concert Series), 15 at Boston University, 20 at UMassLowell, and 7 at Tufts University. His programs have included such traditional giants as Beethoven's Hammerklavier Sonata op.106 and Brahms' Paganini Variations as well as a work that he has been particularly associated with throughout his career: Mussorgsky's "Pictures at an Exhibition." In the 1991-92 season he performed the complete piano works of Mozart in 9 recitals at Boston University; he has also conducted several Mozart piano concertos from the keyboard, and improvised cadenzas at performances of Beethoven's Piano Concerto no. 2 with the Indian Hill Orchestra and Mozart's Concerto K466 with the Lexington Symphony. In 2011 he performed the Schumann Piano Concerto with the Waltham Symphony under Patrick Botti; in 2015 he performed Mozart's Concerto K453 with the same orchestra. He also performed Mozart's Concerto K414 with the Tufts Chamber Orchestra under John Page in April 2016. Stumpf has been heard regularly on Boston's best-known classical radio stations: he has appeared live on WGBH's "Morning Pro Musica" with Robert J. Lurtsema, on "Music America" with Ron Della Chiesa, and on "Off the Record" with Richard Knisely. Stumpf has also returned regularly to Germany, in particular to the city of Mannheim. He has given many recitals there; he has received particular praise for his Mozart performances (as well as masterclasses) in 1991 as part of Mannheim's celebration of the bicentennial of Mozart's death and in 2006 as part of that city's celebration of Mozart's 250th birthday. Stumpf is also well-known for his passionate advocacy of modern repertoire. He has appeared regularly in contemporary music concerts by the Composers in Red Sneakers, NuClassix, Alea III, Boston University 'Omnibus' and New Music Ensemble concerts, the Enchanted Circle Series at N.E.C., the UMassLowell New Music Series, and Tufts University Composers' Concerts. He has performed the world premieres of works by William Thomas McKinley, Robert Ceely, William Moylan, Thomas Oboe Lee, Kareem Roustom, Hayes Biggs, and John McDonald, as well as of his own works, and the Boston premieres of works by Dieter Schnebel and Mauricio Kagel. Highlights include the recording of Ceely's Piano Variations (which he premiered in Jordan Hall and subsequently performed at Northeastern University and the Gardner Museum) on the BEEP label; first performances of McKinley's Duo Concertante and Trio Appassionato in Jordan Hall with clarinettist Richard Stoltzman and violist Walter Trampler; recitals at the BU Tsai Center with BSO violist Michael Zaretzky which featured world premieres of sonatas by Jakov Jakoulov and Theodore Antoniou as well as the first Boston performance of the Sonata by Hans Werner Henze; and the premieres of works by John McDonald and Kareem Roustom composed especially to be integrated into his recital programs at Tufts University. Stumpf has recently also begun to regularly include works by Yehudi Wyner on his recital programs (including the world premiere of the revised version of the "Fantasia on B.A.C.H."). Stumpf's career as a collaborative pianist has also continued to thrive. He has performed regularly with classical saxophonist Kenneth Radnofsky, with whom he gave a concert in East Berlin in 1987 as part of that city's 750th anniversary celebrations. He has performed regularly with cellist Leslie Parnas in recitals as far afield as Seoul, Korea (2005). He has performed regularly with soprano Joan Heller, with performances at universities all over the U.S. as well as in Moscow and St. Petersburg, Russia. He has also recorded on three CDs with Ms. Heller on various labels. He has performed regularly with soprano Jean Danton with numerous performances in the Boston area and two in New York City. He has also made four CDs with Ms. Danton for the Albany label. 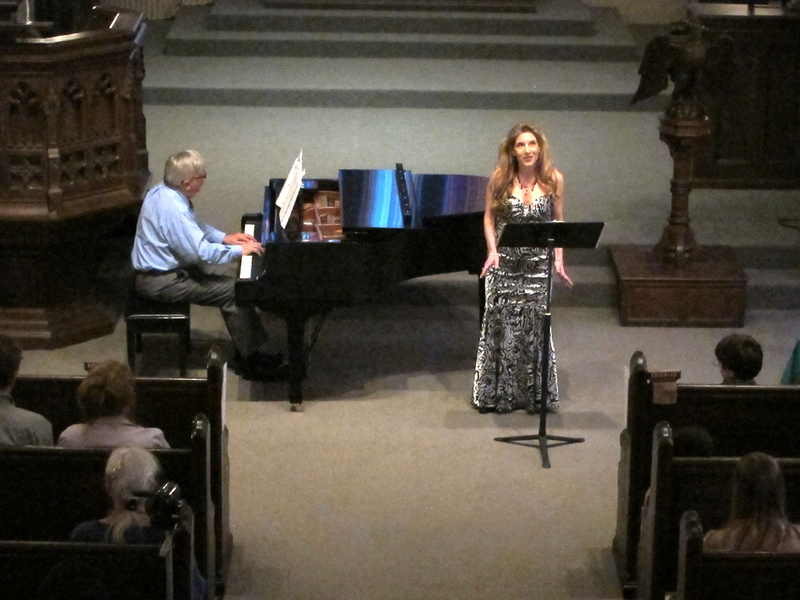 Other collaborations have included such singers as D'Anna Fortunato, Jayne West, Mark McSweeney, Pamela Dellal, Pamela Murray, Deborah van Renterghem and Philip Lima; flutists Claude Monteux and Robert Stallman, oboist Fredric Cohen, clarinettist Ethan Sloane, saxophonist Philipp Stäudlin, violinists Dana and Yuri Mazurkevich, Arturo Delmoni, and Joanna Kurkowicz, violist Raphael Hillyer and Scott Woolweaver, and cellists Martha Babcock, Andrew Mark, and Emmanuel Feldman. Stumpf's first solo recording - a 2-CD album entitled "Reflections on Time and Mortality" released on the Albany label on February 1, 2017 - includes works by McDonald, Yehudi Wyner, and Gregory Brown, as well as piano pieces that Stumpf commissioned from Hayes Biggs and Rebecca Sacks and his own composition "The Spirit and the Dust." These contemporary works are juxtaposed with the music of Bach, Mozart, Beethoven, Schubert, Chopin, Rakhmaninov, Janacek, Bartok, Debussy, Enescu, and Joplin. The album received a rave review in Fanfare Magazine's July/August2018 edition. - A second solo CD, devoted to the piano music of John McDonald, will be recorded in July 2019. Stumpf spent the summer of 2017 learning Liszt's fiendishly difficult and rarely played transcription of Beethoven's 9th Symphony. He performed this work in two sold-out concerts at the Ellingwood Concert Series in Nahant, MA, on September 9 and 10. In the 2018-19 season he performs two recitals at Tufts University: one featuring works of Chopin and Brahms as well as music of the 21st century, including the world premieres of works by John McDonald and Kareem Roustom; the other featuring Preludes by Lew Spratlan, Yehudi Wyner, Hayes Biggs, Eric Sawyer, and new works by Tufts composition students. "Reflections on Time & Mortality". This 2-CD solo recording project was released on the Albany Records label on February 1, 2017. Click here for the complete program notes. "Thomas Stumpf was the musical backbone of the evening. He played the Schumann Fantasy with a lot of feeling and...unexpected reserves of power."